But Chief Magistrate Emma Arbuthnot granted an operating license lasting just 15 months, short of the five-year permit Uber had been seeking. That means the company will remain under scrutiny and serve a probation period of sorts in meeting the terms of regulators at Transport for London. “The rapid and very recent changes undergone by [Uber] lead me to conclude that a shorter period will enable Transport for London to test out the new arrangements,” the judge wrote in her ruling. London transport officials had revoked Uber’s license in September. They had objected, among other things, to the company’s failure to report serious criminal offenses and its use of technology to allegedly evade law enforcement officials. In this week’s appeal, the firm admitted it had been wrong, and apologized. That was an important factor to Abruthnot, who said Uber would be monitored by London transport authorities and ordered Uber to pay 425,000 pounds ($562,000) in court costs. London Mayor Sadiq Khan said that Transport for London’s actions had been vindicated, proving the regulator was correct in rejecting the license last year. San Francisco-based Uber has expanded rapidly around the world by offering an alternative to traditional taxis through a smartphone app that links people in need of rides with drivers of private cars. 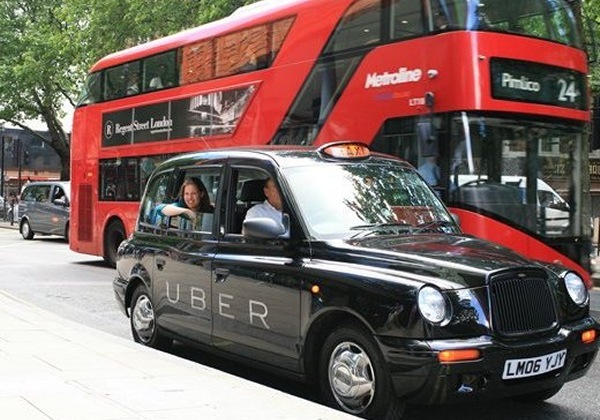 That has drawn protests from taxi drivers who say Uber drivers don’t have to comply with the same licensing standards as London’s storied black cab drivers, giving the ride-hailing service an unfair advantage and placing the public at risk. The company insists it is changing under new CEO Dara Khosrowshahi, who tried to shift the company from its combative stance with municipal officials soon after London pulled its license. Just hours after London’s rebuke in September, Khosrowshahi took to Twitter. “Dear London: We r far from perfect,” he wrote. “Pls work w/us to make things right.” An online petition which quickly gathered thousands of signatures also served to remind London’s officials of the company’s immense popularity. Khosrowshahi has also apologized for past mistakes. Uber, with some 45,000 drivers and 3.6 million customers in London, challenged the decision with the understanding that things have gone wrong and must change. The company insists it has made a clean break with the past. “We will continue to work with [Transport for London] to address their concerns and earn their trust, while providing the best possible service for our customers,” said Tom Elvidge, general manager of Uber in the U.K. The ruling came as no surprise to experts monitoring the company, such as John Colley of Warwick Business School. He said Khosrowshahi had been at pains to put the years under former CEO Travis Kalanick behind the company and focus on Europe and North America. He said that Uber has already withdrawn from Russia, China, South Eastern Asia and are believed to be negotiating an exit from India to curtail the loss of cash in markets where they feel they can’t win.